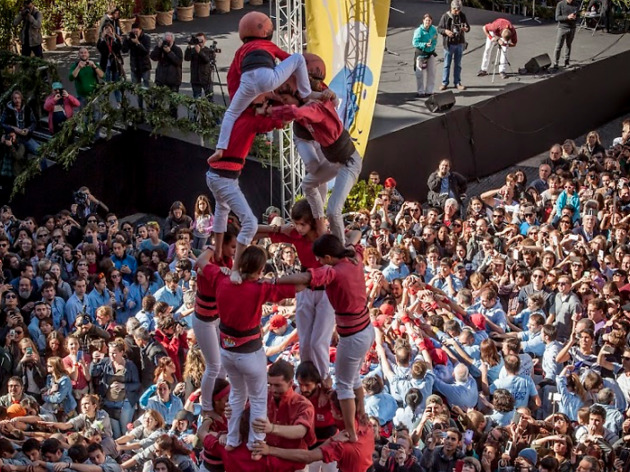 The official feast day of Barcelona's co-patron saint, Mercè, starts early: from 8am, traditional musicians ('grallers') give an itinerant performance that starts in Plaça de la Mercè with the aim of waking residents in the city centre and encouraging them to get out and enjoy the day to its fullest! And things don't get any quieter after that. At 9.15am, head to the Font de Canaletes at the top of La Rambla to see the 'trabucaires', a traditionally dressed group wielding stocky 'trabuc' guns start a procession to Plaça de Sant Jaume; once there, they fire their weapons to start a morning of traditional features such as 'gegants' ('giants') and the 25th Dance of Giants, plus a parade of other oversized characters. 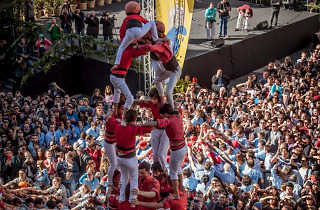 At noon, human tower groups parade from Plaça de la Mercè to Plaça de Sant Jaume, where they will build their incredible 'castles' from 12.30pm. In the afternoon, from 6pm, one of the most anticipated events kicks off in C/Pelai, the procession through the streets of the city centre featuring numerous local cultural groups and associations.